The May edition of Geeky Giving is here! The February Geeky Giving bundle dabbled in science fiction, fantasy, and even crime noir, the March bundle went full-on medical sci-fi. April brought magic and urban fantasy, and now we’re circling back with more stellar sci-fi. Expect to explore robots and AI and what could happen if we reversed Alzheimer’s. Would you love to read these stories? Securing your copy of the Geeky Giving May 2016 Bundle is easy. Make a donation to the Geeky Giving project (supporting Barrow Neurological Foundation, read more about why we help Barrow) of any amount over $5, and then follow the instructions in your confirmation email to receive your digital book. Mobi (Kindle) and ePub (Nook, iBooks) formats available and will be delivered within 48 hours of receiving your confirmation email. The May bundle will be available as our thank you for donating through June 20. After that time, we’ll retire the bundles and start planning for next year’s Geeky Giving editions. But never fear, there’s a way to score the earlier bundles. Donate at the $25-plus level and we will make sure you receive any bundles you missed. Donations are not required to enter. Please visit the swag page for full details and rules. 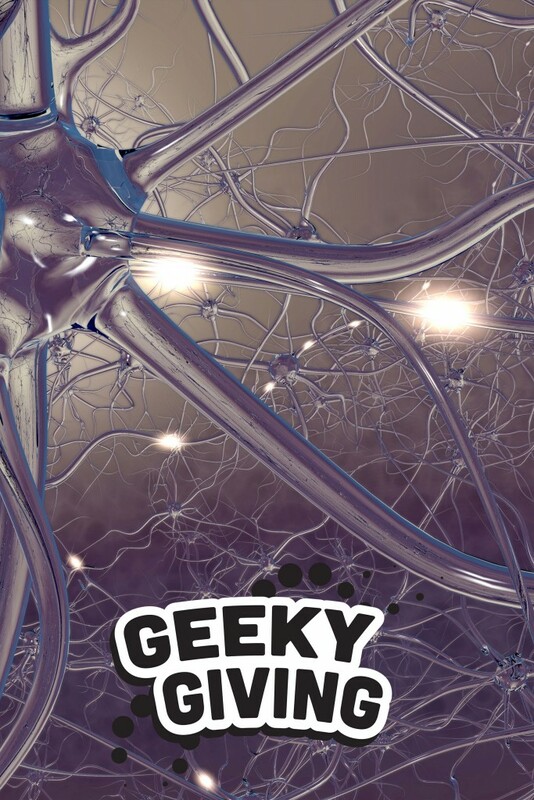 Geeky Giving shares exclusive short stories and artwork to raise funds to advance neurological research for Parkinson’s, ALS, TBI, brain tumors and more. Serious Star Power in May Geeky Giving Sweepstakes! Geeky Giving April Sweepstakes is Here and it’s BIG! March Madness at Geeky Giving = EPIC new sweepstakes!